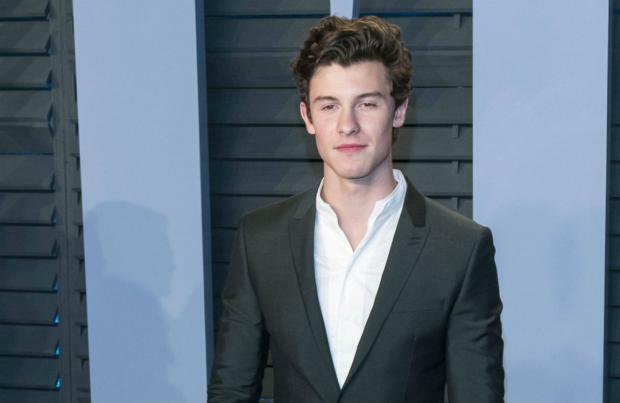 Shawn Mendes has been having secret therapy sessions to help with his anxiety. The 19-year-old star alluded to his struggles with mental health on his latest single, 'In My Blood', and he's now spoken publicly for the first time about how he completely closed himself off from his friends and loved ones, before seeking professional help. Speaking on the latest episode of ' The Dan Wootton Interview podcast', he confessed: "I spoke to a therapist a couple of times. "Therapy is what works for you . . . climbing a mountain. Therapy is listening to music and running on the treadmill, therapy is going to dinner with your friends - it's something that distracts you, that helps you heal and so it just depends on what you think therapy is. "I made a conscious effort to be more connected to the people in my life. "I found I was closing myself off from everybody, thinking that would help me battle it . . . then realising the only way I was going to battle it was completely opening up and letting people in." The 'There's Nothing Holding Me Back' hitmaker hopes speaking out about his anxiety will encourage others to be open and seek help. He said: "What I have to do now is be very honest with myself and honest about what I'm talking about. "Make something as serious as anxiety tangible where everybody can listen to it and either connect with it or understand it." Shawn says the song is about seeing the light at the end of the tunnel. He explained: "All pain is temporary, and the thing is with anxiety, and why it's such a hard thing for people who don't have it to understand, is that it is very random and it hits you at moments you don't expect it. "Sometimes it lasts two hours, sometimes it lasts a day and sometimes it lasts five minutes. "The point of the song is that no matter how long that lasts, you can come out the other end stronger and you come out of the other end always."